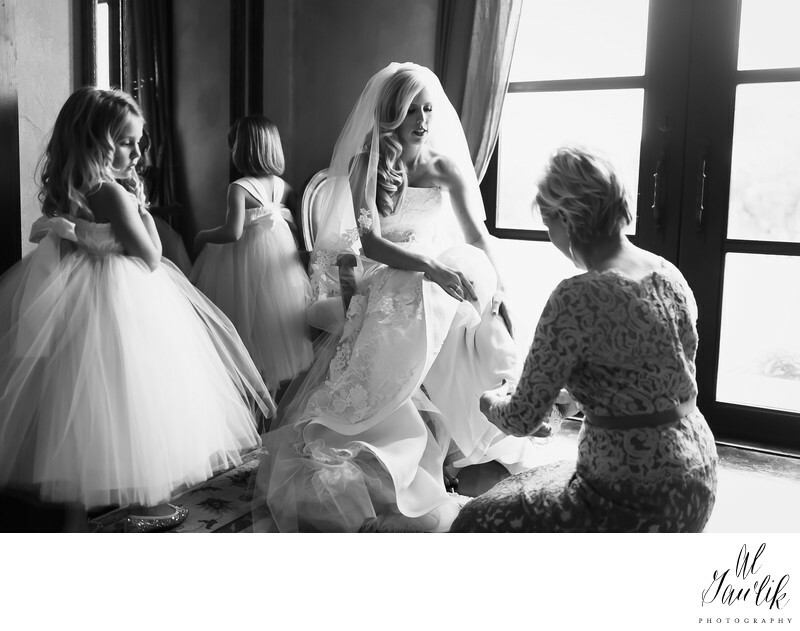 The natural light from the window casts a heavenly glow over the bride, and others as she prepares for her wedding. The flower girl has such a faraway look that it makes you wonder what she is thinking. Our photographer masterfully uses the light in this wonderful black and white portrait from that memorable day.